This post was published at Sovereign Man on November 4, 2016. The last 2 days have seen South African Rand plunge 5% relative to the USDollar, back to 2 month lows, after reports that police are set to arrest Finance Minister Pravin Gordhan over alleged irregularities at the nation’s revenue service. Gordhan is aware of plans to arrest him and described them as an effort to thwart his campaign to end government corruption, Beeld newspaper reported on Monday. President Jacob Zuma’s office on Sunday denied the minister would be arrested, rejecting a report in the Johannesburg-based Sunday Times newspaper that a special police unit investigating Gordhan has sent prosecutors the docket of its probe of his alleged involvement in a special agency set up within the national revenue service. When UK PM David Cameron opens the Anti-Corruption Summit on 12 May, we should be aware that the greatest fraud perpetrated on the majority of the world’s citizens is all perfectly legal. Africa loses at least $50 billion a year – and probably much, much more than that – perfectly lawfully. About 60% of this loss is from aggressive tax avoidance by multinational corporations, which organise their accounts so that they make their profits in tax havens, where they pay little or no tax. Much of the remainder is from organised crime with a smaller amount from corruption. This was the headline finding of the High Level Panel on Illicit Financial Flows from Africa, headed by former South African President Thabo Mbeki, a year ago. This post was published at 21st Century Wire on MAY 10, 2016. The concept of the BRICs isn’t heard much these days beyond some cooperative institution building efforts. Originally a Goldman Sachs authored attempt to identify growth opportunities for investors (referring to Brazil, Russia, India and China), it was picked up by those countries to symbolise a hoped-for rotation in the world order: away from the old hierarchy of the West and the Rest, towards a more balanced configuration of global economic progress. For inclusiveness, the ‘s’ was eventually capitalised into ‘South Africa’ so that the African continent was not left out. With hindsight, it remains curious that the idea was ever taken seriously beyond the confines of investor advice. The nominated states have little in common, although the public diplomacy of developing economy cooperation has a lingering appeal. The Russian economy was always based largely on hydrocarbons, and Brazil’s expansion was a broader commodity play. Each, therefore, nurtured an important relationship with China. Now, though, as commodity prices have sunk, China is the only buyer left and has no qualms about driving a hard bargain. This post was published at David Stockmans Contra Corner on April 19, 2016. They were the darlings of the Davos set, the bookends of the BRICS. Simultaneous booms raised millions out of poverty and generated billions for a lucky few. But now, Brazil and South Africa are united by political scandals and economic misfortune. Gloom has descended as the presidents of each country fight off corruption allegations that threaten to end their political careers. For the leaders, Dilma Rousseff and Jacob Zuma, it’s a stunning fall from grace, a humiliation made worse by markets rallying on the prospects of their demise. Their rise always had an aspect of illusion. Their emergence was launched as part of an investment thesis promoted by Goldman Sachs Group Inc. In 2001, the firm’s Jim O’Neill christened the BRIC countries, Brazil, Russia, India and China, as the engines of global growth; they were later joined by South Africa to become the BRICS. This post was published at David Stockmans Contra Corner on March 22, 2016. The market is ‘adjusting’ to a series of headwinds that can be overcome, Citigroup CEO Michael Corbat said Thursday, a day after the S&P 500 fell to its lowest level in nearly two years. ‘We view what’s going on really as more a repricing than any big fundamental shift,’ he told CNBC’s ‘Squawk Box’ at the World Economic Forum in Davos, Switzerland. The global economy is on the brink of a recession, with central bank stimulus less forthcoming and growth weakened by the slowdown in China, Citigroup warned on Thursday. This post was published at David Stockmans Contra Corner on January 28, 2016. Impeachments, ministerial sackings and warplanes. As if emerging-market investors didn’t have enough to worry about with the Federal Reserve poised to end a seven-year era of near-zero interest rates, political turmoil has buffeted developing economies more than normal in the past few weeks. South Africa’s rand whipsawed after President Jacob Zuma named a second finance minister in four days and Polish stocks slumped to a six-year low amid a policy shakeup by the new government. Brazil was on the brink of impeaching the president, while Turkey’s standoff with Russia over a downed warplane triggered a selloff in lira assets. ‘We’ve seen political risks come to the fore,’ said William Jackson, a senior emerging-markets economist at Capital Economics Ltd. in London. ‘The timing couldn’t be worse. Those countries where political risks are excessive are likely to suffer a double whammy’ if there’s more turbulence following the Fed rate increase, he said. This post was published at David Stockmans Contra Corner on December 15, 2015. Following the recent move by Goldman Sachs in closing its BRICS fund, the future of this economic A-team seems uncertain. What does the future hold for the BRICS? And can we still expect a credible alternative to the Western-created IMF and World Bank to emerge? Face: [the team’s plane is starting to malfunction] Uh, Murdock, what’s going to happen? Face: No, what’s *really* going to happen? Murdock: Looks like we’re going to crash and die. Could we be seeing a similar script unfolding for the international economic A-team? Well, according to Goldman Sachs, yes. It comes as little surprise to some institutional investors that Goldman decided to pull the plug on their depreciating investment product. Assets under management have dwindled to approximately $100 million, from a peak of $800 million at the end of 2010. However, it does seem ironic that the institution that first gave life to the idea of the BRICs (later turned BRICS to accommodate South Africa) has now decided to kill its own creation. But in the game of international finance economic, Darwinism is the name of the game. In 2001 Lord Jim O’Neill, the then chief economist at Goldman Sachs, noted that the real GDP among Brazil, Russia, India, and China had surpassed that of the G7 group of mature economies. This informal association of nations, he stated, were the ‘strategic pillars’ of a supposedly entirely new international system. And thus voil ! A new investment angle opened up to the world. This awkward arranged marriage served as a powerful inspiration not only for investors who rushed to place their bets on big emerging markets, but also for political scientists and academics who sought to understand how this new goliath will operate as a political entity. They were not disappointed. Brazil, Russia, India, and China make up half the world population, one-fifth of the world’s GDP, and one-quarter of the world’s land mass, so yes, a force to be reckoned with it is. In 2006 this partnership was solidified following a series of meetings on the side-lines of a UN General Assembly summit in New York. South Africa joined the party in 2010 following a political move to include an African nation as the group couldn’t possibly represent the idea of emerging economies without an African representative. Nigeria and South Africa were shortlisted with South Africa winning out as it fit the acronym. This post was published at FinancialSense on 11/30/2015. It’s been another week of bloodshed in emerging markets, with the Brazilian real, South African rand and Turkish lira all pummelled to record lows as China growth concerns and uncertainty about U. S. rate hikes continue to bite. Remarks by U. S. Federal Reserve Chair Janet Yellen late Thursday suggesting the central bank could still raise rates this year sparked fresh selling on Friday, with the Malaysian ringgit and Indonesian rupiah falling to their lowest levels since the Asian financial crisis in 1998. ‘EM currencies are being squeezed between concerns about the severity of China’s economic slowdown and increasing uncertainty regarding U. S. monetary policy,’ Nicholas Spiro, managing director at Spiro Sovereign Strategy, told CNBC. ‘Country-specific vulnerabilities, notably in Brazil and Turkey, are also weighing on sentiment – indeed more so than external factors in the case of many EMs,’ he said. A rout in Brazil’s currency – what has shed almost 10 percent this month and almost 60 percent this year – against a backdrop of a political crisis and an economy mired in recession, has also soured sentiment towards other emerging markets. This post was published at David Stockmans Contra Corner on September 26, 2015. September 2015 – GLOBAL ECONOMY – Brazil, which saw its credit rating downgraded to junk last week, is only the latest BRICs economy to crumble in the face of a strong dollar, a global trade slowdown and the prospect of higher US interest rates. Russia is already in recession; many economists believe China is heading towards a ‘hard landing’; and South Africa, which managed to append itself to the emerging-markets club in 2010, is on the brink of recession. Of the group once identified as the shining economic beacons of the future, only India has so far remained relatively insulated from what World Bank chief economist Kaushik Basu described last week as the ‘troubled’ state of the global economy. It wasn’t supposed to be like this. In 2009, as the rich western countries were surveying the chaos wrought by the financial-market crisis, China was cranking up an immense fiscal stimulus program to boost demand and kick-start growth. Beijing’s ability to muster financial firepower in the face of the crisis seemed to underline the shift of power towards the nimble emerging nations, with their rapidly growing middle classes, and away from the sclerotic Old World. ‘Decoupling’ became fashionable. Instead of being tethered to the fortunes of the mighty US (‘When America sneezes, the world catches a cold,’ went the old saw), emerging economies would break free, nurturing trade links across the developing world and fostering homegrown demand. But seven years on from the collapse of Lehman Brothers, the chaos wrought across financial markets in emerging countries by the prospect of a rise in US interest rates – which could come as soon as the Federal Reserve’s meeting this week – is a reminder of how closely tied the BRICs economies remain to the world’s biggest economy, and vice versa. The term BRICs was coined by former Goldman Sachs economist Jim (now Lord) O’Neill – George Osborne’s freshly ennobled Treasury minister. He never saw their rise as inevitable, but the acronym captured a widespread sense of optimism, and indeed China, India and Brazil in particular have made extraordinary strides in lifting their populations out of poverty. 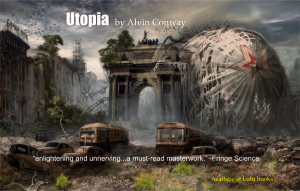 This post was published at UtopiatheCollapse on September 14, 2015. This week, investors relived a nightmare. As markets from China to South Africa tumbled, they pulled $2.7 billion out of developing economies on Aug. 24. That matches a Sept. 17, 2008 exodus during the week Lehman Brothers went under. The collapse of the U. S. investment bank was a seminal moment in the timeline of the global financial crisis. The retreat from risky assets, triggered by concern over a slowdown in China and higher interest rates in the U. S., has taken money outflows from emerging markets to an estimated $4.5 billion in August, compared with inflows of $6.7 billion in July, data compiled by Institute of International Finance show. This post was published at David Stockmans Contra Corner on August 28, 2015. Take the combined size of allSTOCKS TRADED in Brazil, Russia, India and South Africa, multiply by two, and you’ll get a sense of how much China’s market value has slumped since the meltdown started. Shanghai-listed equities erased $5 trillion since reaching a seven-year high in June, half their value, as margin traders closed out bullish bets and concern deepened that valuations were unjustified by the weak economic outlook. The four other countries in the BRICS universe have a combined market capitalization of $2.8 trillion, according to data compiled by Bloomberg. This post was published at David Stockmans Contra Corner on August 27, 2015. The biggest decline in emerging-market currencies since the global financial crisis is quickly turning from a welcome event for countries seeking to make their economies more competitive into something destructive. The selloff has become so swift and so deep that officials are abandoning hands-off policies on concern the drop will fuel inflation, deter investment from foreigners and act as a drag on their economies at a time when global growth is already decelerating. To counter the declines, policy makers from Mexico to South Africa and Turkey have either stepped up intervention, increased interest rates or signaled an end to monetary easing. Wall Street firms aren’t optimistic. Morgan Stanley says more policy makers will be forced to act, and Goldman Sachs Group Inc. warns there’s no end in sight to the weakness in developing-nation currencies. This post was published at David Stockmans Contra Corner on August 1, 2015. Emerging-market currencies are in free fall. An index of the major developing-nation currencies fell to an all-time low this week, extending its drop over the past year to 19 percent, according to data compiled by Bloomberg going back to 1999. The Russian ruble, Colombia’s peso and the Brazilian real have fallen more than 30 percent over the past year for some of the worst global selloffs. China’s economic slowdown is pushing downCOMMODITY PRICES, weighing on raw-material exporters from Brazil to Mexico and South Africa. Adding to the pain is the expectation that the Federal Reserve will soon embark on the first interest rate increase since 2006, threatening to lure capital away from developing nations. This post was published at David Stockmans Contra Corner on July 26, 2015. Tehran, Beijing, Moscow, Islamabad, and New Delhi have been actively establishing interlocking security guarantees. They have been simultaneously calling the Atlanticist bluff when it comes to the endless drumbeat of attention given to the flimsy meme of Iran’s “nuclear weapons program.” And a few days before the Vienna nuclear negotiations finally culminated in an agreement, all of this came together at a twin BRICS/SCO summit in Ufa, Russia — a place you’ve undoubtedly never heard of and a meeting that got next to no attention in the U. S. And yet sooner or later, these developments will ensure that the War Party in Washington and assorted neocons (as well as neoliberalcons) already breathing hard over the Iran deal will sweat bullets as their narratives about how the world works crumble. This post was published at Zero Hedge on 07/24/2015. China’s market slump is making itself felt in corporate earnings around the world. French distiller Remy Cointreau SA, U. S. fast-food company Yum! Brands Inc., U. K. luxury-goods maker Burberry Group Plc and South Africa’s Kumba Iron Ore Ltd. are among the companies taking a hit from China, where a monthlong rout in stocks wiped out almost $4 trillion in market value. The International Monetary Fund sees China’s economy expanding this year at the slowest ratesince 1990, and said the country is a source of potential riskto global growth. The effect is likely to be be highlighted over the next few weeks as the bulk of the world’s biggest companies report second-quarter earnings. China has been among the fastest-growing markets in the past decade for cars, luxury goods and raw materials, and the slowdown is particularly unwelcome now because emerging markets such as Brazil and Russia are also struggling and can’t pick up the slack. Remy Cointreau shares dropped the most in 11 months Tuesday after the company’s quarterly sales missed estimates becauseCHINESE WHOLESALERS continued to hold back on cognac orders. Demand for pricey drinks, as well as expensive wallets and watches, has slumped amid a clampdown on graft and lavish spending, which has hit gift-giving. This post was published at David Stockmans Contra Corner on July 22, 2015. Following overnight news that yet another former FIFA executive, this time Sepp Blatter’s top deputy may have been directly involved in a $10 million payment, with suggestions the payment was for bribes over South Africa’s bid to host the 2010 World Cup, moments ago the FIFA president announced he would hold a impromptu press conference. Is Blatter, who was reelected last Friday despite the dramatic DOJ crackdown on corruption in FIFA, about to resign? Find out in a few minutes. This post was published at Zero Hedge on 06/02/2015.